Digital designers often take inspiration from real world colors and we have seen a number of devices which make this process easier. Scribble is a pen that can scan the color of any object and immediately begin drawing in that color, and now the Cube is the handheld equivalent of a digital pipette — it collects and stores color information from physical surfaces and enables the user to reproduce it later in their chosen digital design program. 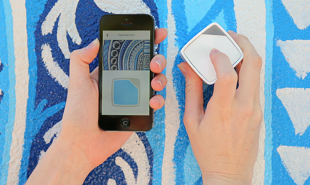 The Cube from SwatchMate is a portable device which can sample and store up to 20 colors locally, or infinitely more when paired with the desktop or mobile companion app. To begin, users place the cube on their desired surface and press the Touch button. The device then scans the color using an aperture port, which collects all the color information, saving it as a RGB, CMYK or L*a*b file so it can be used in design programs, including Photoshop and Illustrator. Colors can be named and reviewed within the companion app. 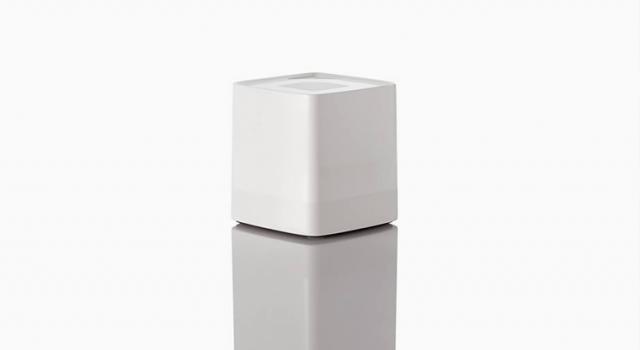 The Cube isolates the surface and protects it from ambient light, instead illuminating it with its own inbuilt light source so that it can collect more accurate surface color values than other cameras — such as the ones on smartphones. It is available to purchase for USD 179.95. We have already seen Romanian bike makers Pegas use color sampling in their Pegas Urban Color app — are there other ways to bring this technology to consumers?